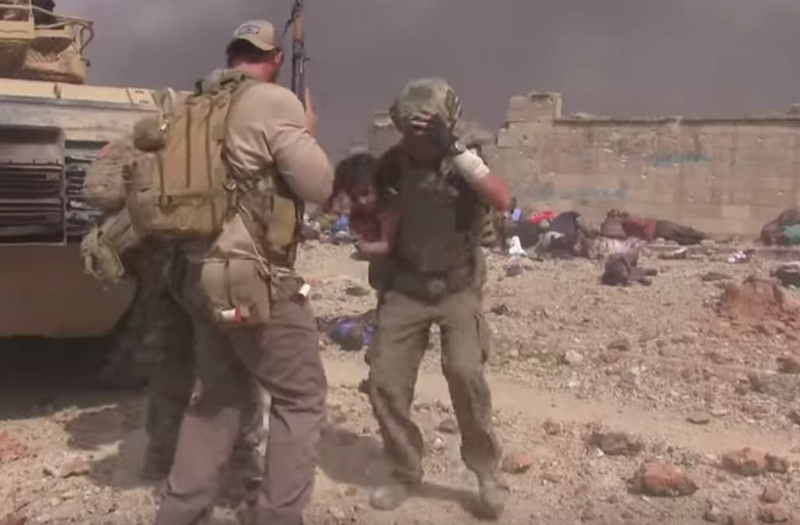 David Eubank, a former Special Forces soldier-turned-aid worker, was filmed as he ran out in the open amid ISIS sniper fire to rescue the girl as two other men covered him with rifle fire. "I thought, 'If I die doing this, my wife and kids would understand," Eubank told the Los Angeles Times. According to the Times, Eubank's dramatic rescue played out on a street in the Iraqi city of Mosul, where ISIS snipers were firing at civilians that were attempting to flee. Wearing only a t-shirt, bulletproof vest, and helmet, Eubank is seen running out into the street approximately 150 yards where he picks up the girl and brings her back safely behind a tank. Eubank, 56, served for a decade with the US Army Special Forces. After leaving the military, he founded an aid group called the Free Burma Rangers, which seeks to bring "hope and love to people in the conflict zones of Burma, Iraq, and Sudan," according to its website.